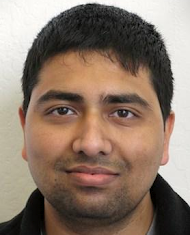 Amarnag Subramanya is a Staff Research Scientist in the Natural Language Processing group at Google Research. Amarnag received his PhD (2009) from the University of Washington, Seattle, working under the supervision of Jeff Bilmes. His research interests include machine learning and graphical models. In particular he is interested in the application of semi-supervised learning to large-scale problems in natural language processing. His dissertation focused on improving the performance and scalability of graph-based semi-supervised learning algorithms for problems in natural language, speed and vision. He was the recipient of the Microsoft Research Graduate fellowship in 2007. He recently co-organized a session on "Semantic Processing" at the National Academy of Engineering's (NAE) Frontiers of Engineering (USFOE) conference. Partha Pratim Talukdar is an Assistant Professor in the Supercomputer Education and Research Centre (SERC) at the Indian Institute of Science (IISc), Bangalore. 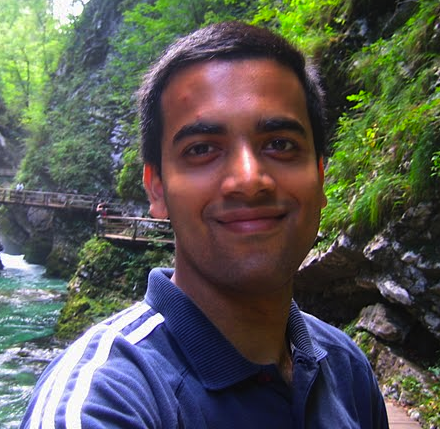 Before that, Partha was a Postdoctoral Fellow in the Machine Learning Department at Carnegie Mellon University, working with Tom Mitchell on the NELL project. Partha received his PhD (2010) in CIS from the University of Pennsylvania, working under the supervision of Fernando Pereira, Zack Ives, and Mark Liberman. Partha is broadly interested in Machine Learning, Natural Language Processing, Data Integration, and Cognitive Neuroscience, with particular interest in large-scale learning and inference over graphs. His past industrial research affiliations include HP Labs, Google Research, and Microsoft Research. He is a co-author of the book on Graph-based Semi-Supervised Learning to be published by Morgan Claypool.